The spring is one of the seasons most awaited by fishermen all over the Country, mainly in the South and Southeast. The water of the reservoirs heats up, and the tilapia, which spent the winter virtually inactive, begin to attack aggressively and furious artificial baits. We have selected some valuable tips for you not to miss this opportunity, check out the places with the highest chances of finding tilapia in dams and the equipment indicated. Steep ravines with tall trees on the water:they are places where insects may fall directly into the water, this acts as a ceva natural to the fish. Tips barranco:more shallow, the steep ravines, tend to concentrate predators in their vicinity. Depending on the wind direction, different types of food that arrive from the surface may stop in these locations. Places with rocks:in addition to serving as points of hunting for predators, the stones absorb the heat of the sun and transfer it to the water, which gets more and more heated in these locations. Fruit trees:feet of araçá, gavirova, guava, cherry and fig (figuinho), among other fruits that the birds usually eat, when located on the edge of the dams, always meet tilapias in his shadow, especially in the spring and summer, when fruits. Bounds with cicadas singing,do not ignore the sound emitted by cicadas. Some will always fall in the water, which draws the brine. Observe the wind direction is also important; depending on your meaning, he may carry the insects to another ravine. The shallows:in some locations, the low depth allows the fish to ambush more easily their prey, and they end up focusing their activity on those points. Capinzais:with the reservoir full, the funds grota may be filled with grass. The tilapias often attend these places to feed, often projecting out of the water to reach the high leaves. In spite of the interest being directed to the plants, some captures with artificial can also happen at these points. – How are:easy to recognize, these baits have barbels concave, abauladas, in the shape of a spoon. – Way of work: collection of continuous and slow, causing them to move from one side to the other. Touches subtle tip of the rod can be made, since the end of the rod is facing up. The bait will come flapping its dewlap in the water and will produce a noise characteristic on the surface. During the collection, stop the bait once in a while and wait for a few seconds. Many attacks happen when the plug is immovable, some so violent that raise the water. – How are:these little plugs have, in general, a cylindrical shape, and short, with up to seven inches (ideal the of five centimeters), and a single rear propeller. – Way of work: also in this case, the work is slow. Collection the plug with enough speed just to only make the propeller rotate, interspersing the collection with short stops. If you prefer, give touches the strongest tip of the rod, what bait to make more noise on the surface. – When to use: they are excellent when the wind is blowing. Its hydrodynamics is perfect in such conditions, and the lightweight marolas formed by the wind help to camouflage the bait. Remember that, when selling, the possibility of dropping insects in the water is greater. The fish tend to hunt in these times, and the attacks are straight, making fishing on the surface quite productive. – How are:lures metal, they are basically composed by a spoon that spins around a wire, and this works as the central axis. The spinners are among the baits that are more versatile for use in half-water, whether in a local stream or standing water. – Way of work: collection constant. Switch the speed to find out how the fish prefer to attack and to vary the depth of action of the bait. Sometimes, the tilapia chases the bait for a while before you attack it. At this time, if you see the fish chasing the bait, do not stop to collect, or you can “kill” the job of the bait and amaze her. You have, in the box, a good variety of weights of spinners. There are days that a few grams can make a big difference. – When to use: are baits ideal to be used for entries of cold fronts, when the temperature drops and the fish sinks a little. In addition, you have higher chances of capture tilapia nilóticas, whose attack can happen in the defence of their brood, when the bait goes in the middle of the school of puppies. – How are:small baits dewlap that mimic small fishes and insects, up to five inches. They may have action is floating (floating) or sinking (sinking). – Way of working: gathering merged with some stops, or continuous. If you choose a model that has a sinking, do not let the bait sink a lot, so that you do not screw. – When to use: as well as the spinners, are good choices when it arrive to the cold fronts. 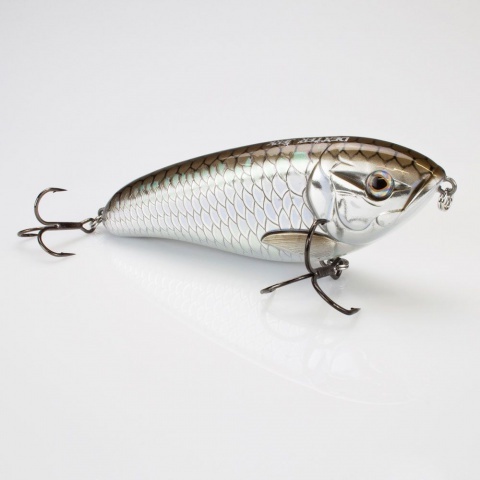 – In some models of surface baits, replace the rings, the original by other minors. The same goes for the garateias; opt for lighter, thin and dark. Thus, the bait floats faster and acts more naturally. – Insert the metallic spheres inside the surface baits hollow to produce more noise and attract more fish. – In bait with dewlap concave, the use of snaps can damage the buoyancy of the front part of the plug. An alternative is to swap the snap for a small ring and tie the line to it, or, tie the line directly to the pin using the node Mirrolure (Mirrolure Knot, see illustration), leaving the plug swim more freely. 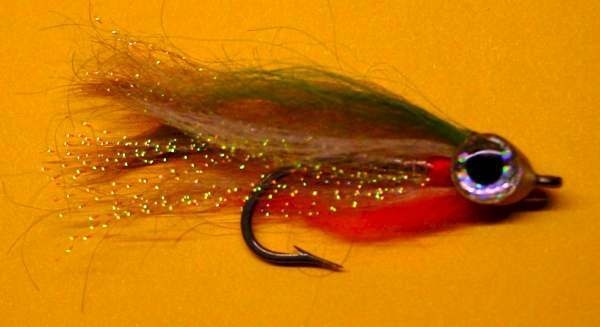 – If the fish only “knock” on the spinners, and not to take, you can shorten a little bit the feathers tied in garateia, by cutting them with scissors. This will cause the brine abocanhem better the bait. – To baits that work by spinning, such as spinners and plugs propeller, it is essential to the use of snap with swivel. The ideal is that it is not too large, so that it does not change the work, and the buoyancy of the lures, especially the surface. – Darken the plugs with pens overhead projector is an alternative to make its color closer to that of the cicadas. You can paint the lures total or in part upon, for example, only the lower part of the or a few areas. Sticks: between 5’6” and 6 feet, the class 10-20 and 10-25 lb, medium action. Reels: low-profile, comprising a 145 m line 0.30 mm. Lines: monofilament, between 0.18 mm and 0.35 mm, preferably transparent. If you prefer a colored line, make a leader is transparent with the same diameter of the line used, and a little bit less than the length of the rod, without letting the node between the spool of the reel or the reel. Stay tuned, exemplary larger have small teeth serrated in the jaw able to wear out and break the line.